Welcome to Osmic Enterprises, Inc. (OEI), one of the industry’s premier developers and distributors of tests for assessing the chemoreceptive sense of smell. We are committed to becoming world leaders in this area by developing highly sensitive, valid and reliable commercial tests at competitive prices. By combining cutting-edge technology with sound psychophysical principles, our innovative tests will become industry standards for assessing these senses in medical clinics, industrial workplaces, and research laboratories. Our general business offices and manufacturing facility are located in Cincinnati, Ohio. The business was founded by Dr. Lloyd Hastings, a chemosensory scientist with over 30 years of research experience. OEI developed its initial prototype under a grant from the National Institutes of Health in 2004 and has been awarded additional federal grants to further refine the technology and develop standardized norms for various tests. Currently, OEI has 2 basic product lines, our OLFACT™ battery of smell tests and a new olfactometer for use in fMRI, both developed for use by physicians and scientists. 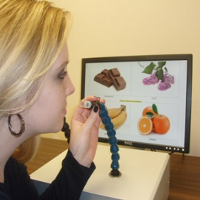 The instruments available for assessing olfactory function offer tests for odor identification, odor threshold and odor memory. 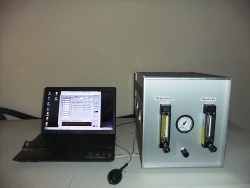 The fMRI Olfactometer can present up to eight different odors to a subject situated in the bore of a MRI. OEI provides full customer support for the setup and operation of all of our products and warrants them against defects. In addition to our warranty and customer service, OEI offers custom instrument design and programming services for special applications. The OLFACT™ family of instruments delivers computerized, self-administered tests for assessing odor thresholds, odor identification, and odor memory. 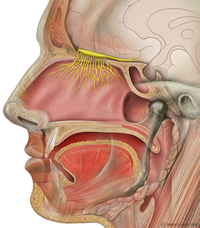 The tests are currently being used by physicians, researchers and commercial businesses to test for anosmia, hyposmia and many aspects of normal olfactory function. Additionally, the tests are being used to evaluate personal preferences for various fragrances, odor interactions/masking and the relationship between taste and smell. Scientists are also discovering unique relationships between neurodegenerative diseases like Alzheimers and Parkinson’s Diseases and the sense of smell. Learn more about the applications of the new OLFACT™ instrument for testing olfactory function. Dr. Hastings, President and Director of Research, has been active in the field of olfactory research for over 30 years and was awarded the first grants funded by NIEHS to study the effects of toxic compounds on olfactory function. As a Principle Investigator (P.I.) of NIH R01's, R43's, R44’s, private foundation grants, and industry grants, he has extensive experience in designing and constructing olfactometers for use in assessing olfactory function in both humans and animals. In addition, Dr. Hastings has published numerous scientific papers focusing on chemosensory research. He is well versed in both software and hardware aspects of computer control of laboratory test equipment. For the last nine years, Dr. Hastings has served as P.I. of four Phase I and three Phase II SBIR grants while working in the private sector. In addition to many years of experience in laboratory research, he gained valuable experience while working for three years at the University of Pennsylvania Smell and Taste Center.